What? Even if I give a sample, people still ignore me? This makes no sense! Really dude? Its only been a day.. Relax doing that will only lessen the chance of people helping you. So no one will help me in any way? I destroyed every chance? Well, at least I extracted the PSP version's music. 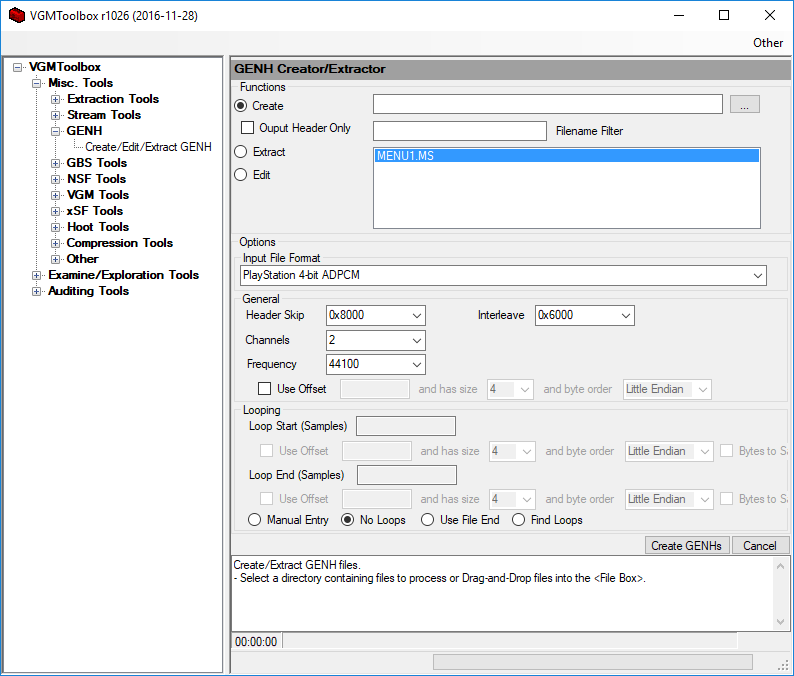 You can create a GENH for it with VGMToolbox and play that with Winamp. I'd recommend getting r1026 rather than r1040. Edit: Having never listened to it it may be off on the frequency or something, but the important bits are right. Damn, I thought this was over, but thank you for helping me! You rock! I will never lose my s**t again!